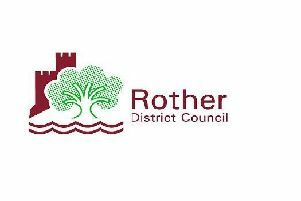 I would like to thank the 41 per cent of Rother residents and the 45 per cent of Hastings residents who voted remain in last week’s European Union referendum. I share your grief. The value of the British pound plunged by eight per cent against the US dollar in the first day’s trading after the referendum result was known. Moody’s has lowered the outlook for the United Kingdom’s credit rating from stable to negative. HSBC, Morgan Stanley and J P Morgan have all announced they’re considering moving large numbers of highly paid jobs from London to other EU financial centres. Far from scaremongering, it’s becoming apparent that the Remain campaign was telling the truth. The leaders of the Leave campaign (Boris Johnson, Michael Gove and Nigel Farage) bear a heavy responsibility for successfully selling the impoverishment of the United Kingdom to 51.9 per cent of those who voted. The next British Prime Minister now has a stark choice. He or she can either seek to remain in the single market, thereby safeguarding jobs both in manufacturing and in financial services, both of which also impact heavily on local economies. This will almost undoubtedly require the continued free movement of people to and from the European Union. The alternative is to pull up the immigration drawbridge. This is likely to massively diminish both British manufacturing and the financial services industry, thereby reducing the standard of living of the British people. It is also likely to create massive shortages of NHS doctors and nurses as well as impact the care homes and agricultural sectors detrimentally. There arguably appears to be a strong case for a further referendum on the detailed terms of any negotiated settlement concerning the British exit from the European Union, as the stark options were fudged by the slickness of the misleading messages of the Leave campaign.